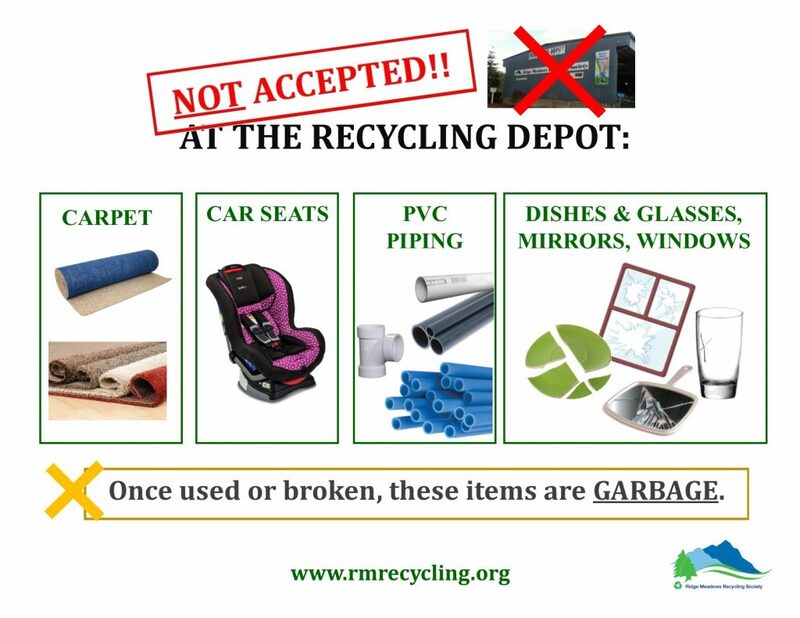 broken drink glasses, mirrors, & window panes – bring to landfill ☹ *these are made of a different kind of glass, so unfortunately cannot be accepted with the regular glass jars & bottles for recycling. 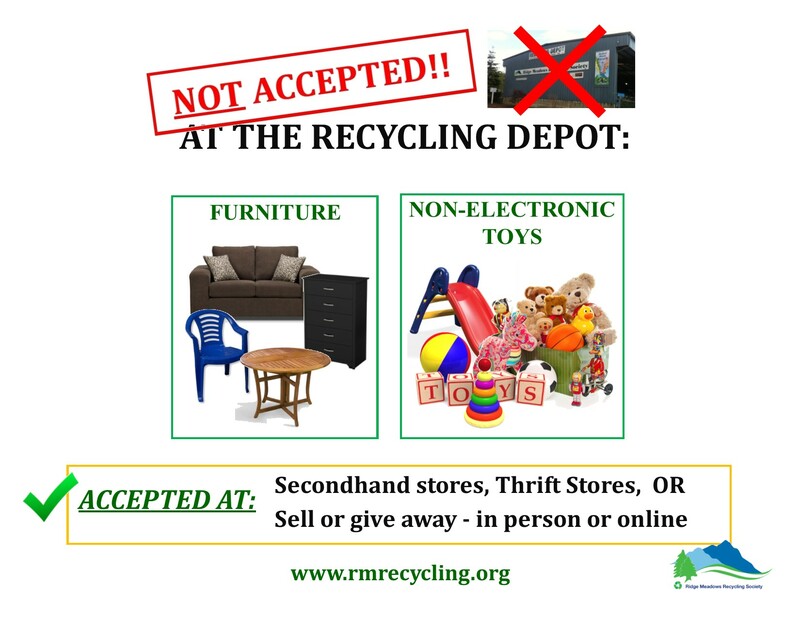 clean wood – bring to organics area of Transfer Station next door to the Recycling Depot. 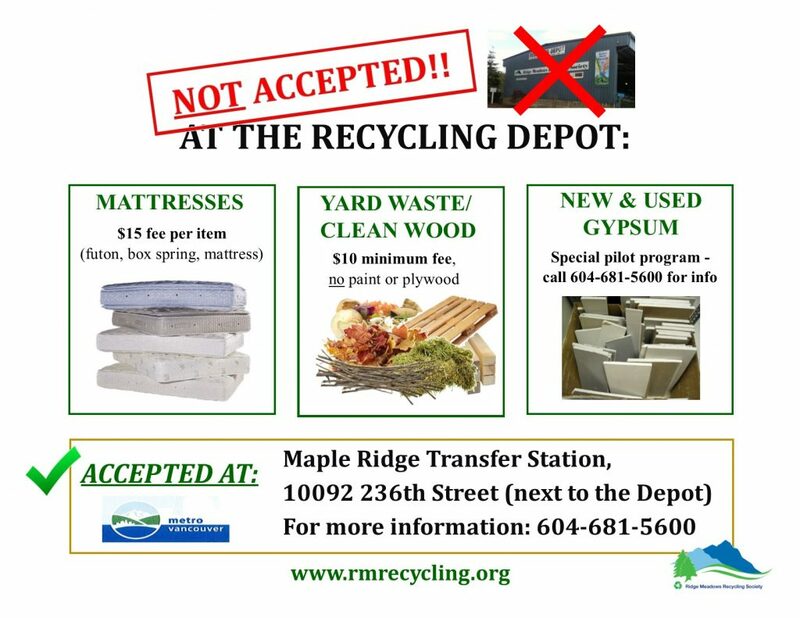 Metro Vancouver implemented a Clean Wood Disposal Ban back in 2015.
pressure-treated wood – bring to transfer station (landfill). Metro Vancouver implemented a Clean Wood Disposal Ban in 2015, but it doesn’t include pressure-treated or painted wood. 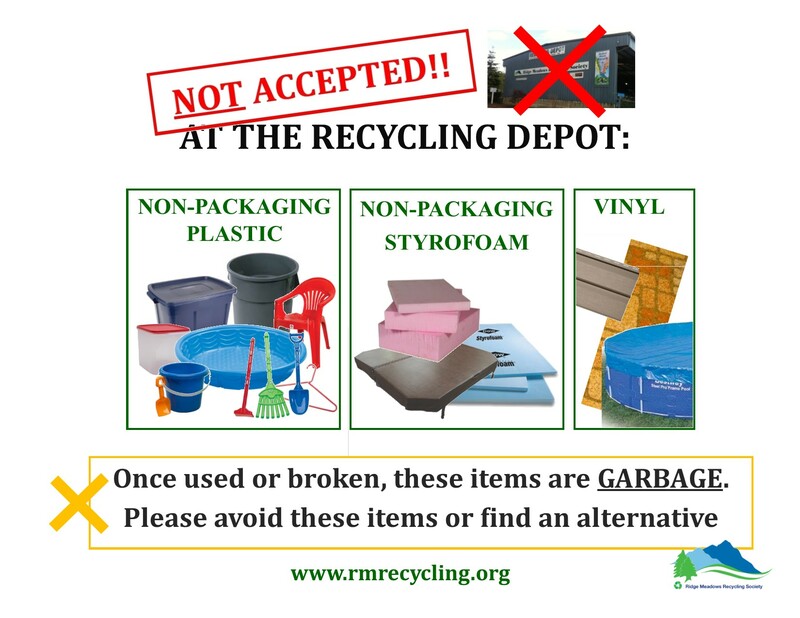 If you are unclear whether an item is recyclable or not, call us at 604-463-5545, call the Recycling Council of BC’s Recycling Hotline at 604-732-9253 Monday – Friday 9am-4pm, or check out their online Recyclepedia. 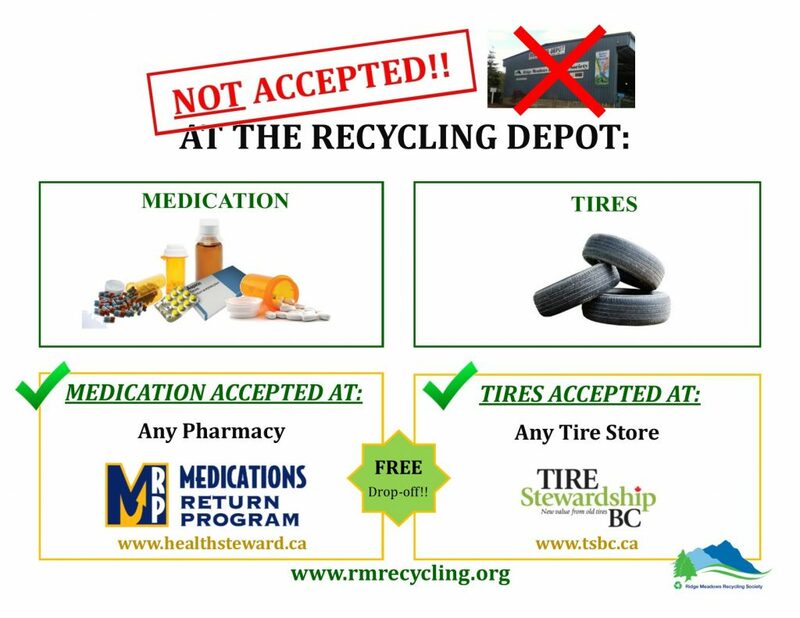 RCBC & SPEC have developed a Recyclepedia Smart Phone App that is now available to download!